And you might wonder, why does it matter? 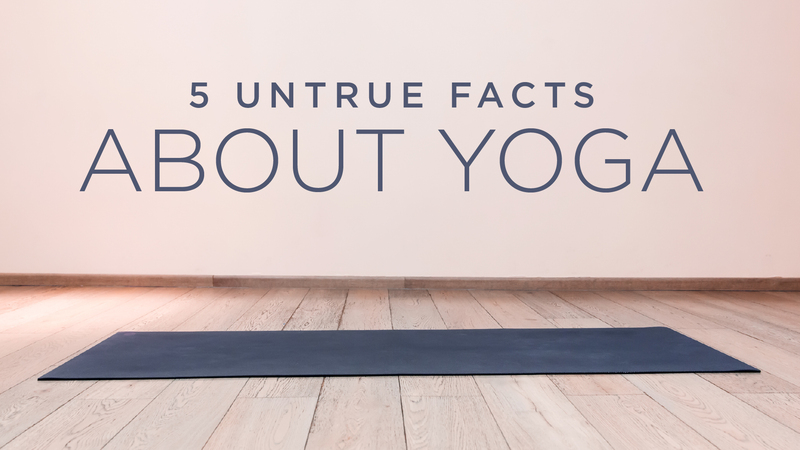 Is it really a big deal if somebody thinks going to yoga means 90 minutes of trying to get your foot behind your head, or that it's possible to wring out your liver like a wet dish towel? (Spoiler alert: it's not.) To risk another cliché, "Knowledge is power." And when we drop preconceived notions about what yoga should do and what a yoga practitioner should be, we can start to take ownership of our practice. That’s when the focus shifts from trying to become someone else to becoming ourselves more fully. It’s when yoga transforms from a set of standards we can’t possibly reach to a real and tangible source of inspiration and empowerment. And that’s when the real magic takes place. 1. "You have to be super-bendy to practice yoga." 2. "Twists ‘detoxify’ or ‘wring out’ your liver." 3. "You’re sweating out tons of toxins in hot yoga." 5. "...Okay, but you DEFINITELY have to be thin to practice advanced asana, right?" Look at the bulk of yoga-related media, and while you might encounter non-traditional yoga bodies depicted in child’s pose, restorative asanas, or the occasional simple standing posture, the more challenging poses like arm balances, inversions, and deep backbends are almost always depicted as though they were solely the domain of the thin. This leads to the problematic assumption that larger-bodied students are only capable of practicing “beginner-level” asana. In actuality, of course, a person’s BMI, or body fat percentage, is not an indicator of how frequent or advanced their practice is. “Honestly, this facet of the yoga world is a huge part of why I began documenting my home practice [on Instagram],” says Stanley. “I realized that while there were definitely curvier body types visible in the yoga world, none of them were practicing advanced asanas. Basically, I think the only way for the yoga-related media to show a wider variety of body types in advanced asanas is for a wider variety of body types to actually practice advanced asanas." We'll never share your info. Spam just isn't yogic.